At this point, I think I’ve made it clear that I have an affinity for puzzle games and even more so, puzzle games in VR. Whether it be the explorative nature of Obduction or the simpler stationary games like Rooms or Salary Man. I enjoy challenging my brain and doing so in a fantastic setting surrounded by the surreal is a great way to get lost in a game. 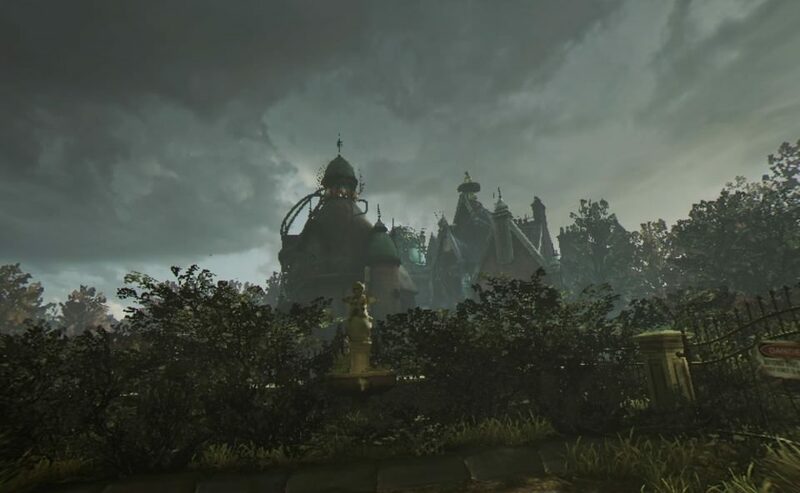 Torn is a little more like Obduction in that you must explore a large, seemingly abandoned Mansion, uncovering its secrets and trying to find a way out. Like most 1st person puzzle games, you are going to require two Move controls here which will of course, be your hands in VR. Walking is incredibly slow, though thankfully there is fast-walk option that allows you to move at a more acceptable pace. 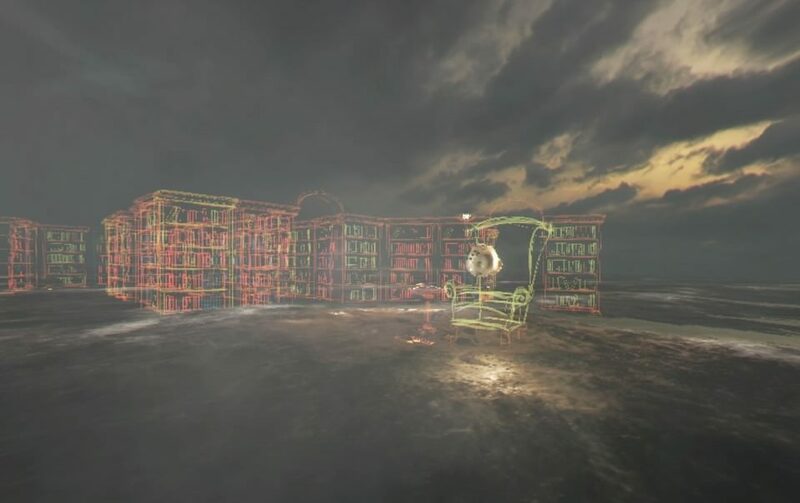 The rooms and puzzles are typically very contained so you won’t be doing a tonne of long distance travel so while the slow pace is a little ridiculous, once you get into the guts of the game, it becomes a non-issue. 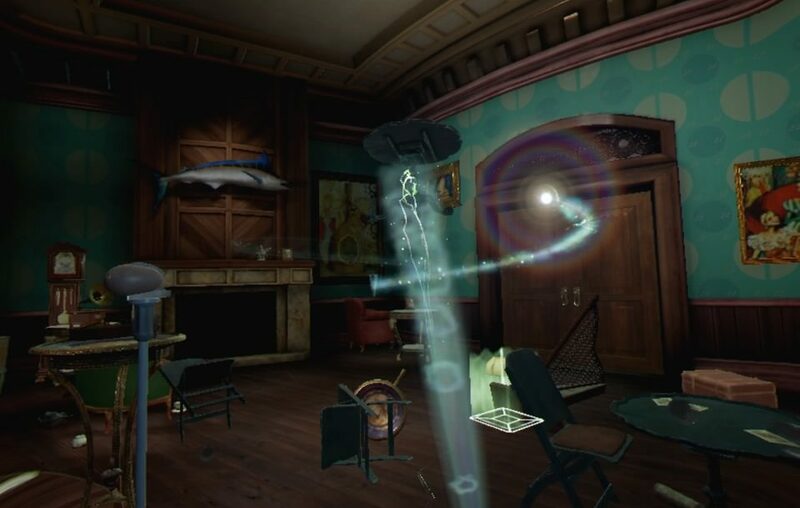 Micro spoiler here, but the main mechanic to solve puzzles in the game is the Gravity gun you discover very early on that allows you to lift objects and move them around the rooms. With this tool, you can now solve the puzzles before you which typically just involve completing large circuits using the items scattered around the room. 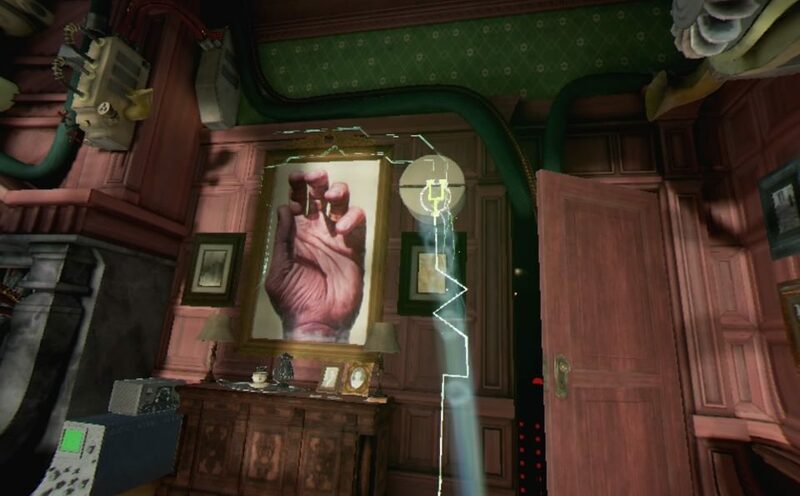 While the items used to solve the puzzles change over the course of the campaign, the mechanic pretty much stays the same; find a room, find the circuit and search for the matching connections. It’s a fun and interactive mechanic but really doesn’t ever get to challenging, unless you can’t find the item you need. Click-turning is the only turn option available, which stinks, but what is worse is the inability to move backward meaning if you accidentally move to far forward, you need to click turn around, move, click turn back and then proceed, making the movement mechanics very cumbersome at times. Coinciding with that issue is getting stuck in environments and objects which causes you to not be able to move or the screen to go black, or sometimes both. This happened throughout my playthrough and when it did I was forced to just start whipping my grav gun around, trying to remove the obstacle or moving in the real world to unstick myself from walls. Torn opts for a more realistic style and looks great with the house being packed full of real world items and a lot more obtuse ones as well. It’s been 64 years since anyone has last physically been in the mansion and it feels like it. Households item have been strewn about and you can tell the previous owner, Dr. Talbot, was a bit of a pack-rat. There is so much stuff lying around it almost begins to feel claustrophobic. As you uncover the mysteries surrounding Dr. Talbot and his strange house, more wackiness is unveiled with you traveling to another realm and discovering the full scale of Dr. Talbots machinations. It’s clear a lot of work went into the presentation with much of the world being interactable and looking authentic. 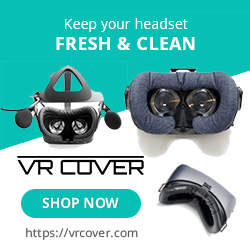 There are some aliasing issues at play, which is par for the course when it comes to realistic games in VR and while they do at times detract from the beauty of Torn, they never ruin it. Equally impressive is the audio that has some top-notch voice acting and an original orchestral score composed by Garry Schyman (BioShock, Middle Earth: Shadow of War). The music is both haunting and mysterious and the voice actors for the 2 main characters do an excellent job making them believable in their own ways. You play as Katherine Patterson, a freelance reporter who stumbles across the mansion, and the conversations she has with others and herself are both believable and enjoyable to listen to. If you ever need help, that little light can give you a hint. Torn really is about 2 things; “Puzzle” solving and narrative with you uncovering the mysteries surrounding the mansion. The game messes with your perception of reality, especially when you stumble across ‘The Parallel’ but if you aren’t into puzzle solving or an emotional story, there really isn’t anything else here. It’s clear Aspyr made the game they wanted to and stuck to it and that just won’t appeal to everyone. There is a very deep mystery here that will take 6 to 8 hours to uncover and involves a tonne of discovery; about the mansion, Talbot and even your own motivations. The circuit completion element is the crux of this games puzzles and while they are intuitive and do the job, they aren’t without issue. Pressure plates are introduced early on that require you to place items lying around on top to activate then next section of a circuit. Sometimes these plates are on roofs or walls, making them the last item you need to activate, but occasionally, they don’t want to cooperate. On 2 separate occasions, the switches I need to activate, wouldn’t, or to be more exact they would while I was holding an item on the plate. The moment I released that item, the pressure would seemingly cease, and the plate would not activate, and trust me, there was enough weight. In both situations I had to go to the other plate (on the roof or wall) and build a tower of scrap that would hopefully touch the plate with enough pressure to activate. Thankfully this worked, but it extended those 2 portions of the game with hours of unneeded frustration, ruining any fun I had in those sections. The actual process of completing circuits almost never changes up either turning this light puzzle element into nothing more then a game of ‘Where’s Waldo'(is that still a valid reference?) where you just look around the room with your connection finding flashlight, find the piece you need and keep repeating the process. The game relies so heavily on this mechanic that every room starts to feel redundant and while there are some slight mix up’s to how you complete circuits, it’s never enough to make it feel fresh. Torn is a very intriguing narrative adventure that just gets bogged down with the “circuit mechanic”. Talbot’s story, the histories that unfolded in his life along with the overall world and story is top quality, and those elements kept me entertained to the end of the game. With that said, it may be best to play this in smaller doses. Besides the opening moments and a final scene there are 8 rooms to get through, all with varying degrees of complexity and after playing to room 4, I just needed to get away from completing circuits. Still, Torn offers up a lot of gameplay and I didn’t actually dislike the circuit mechanic, I just feel it was relied upon a little to heavily, artificially extending the game and reducing the fun I was having. What would I pay? The presentation and story save this from mediocrity, and there is more then enough content to justify the $30 asking price but considering the issues I mentioned above, $20 seems a little more apt. Like I said though, this is less about puzzles and more about pushing the very entertaining narrative forward and if that sound interesting to you, then I say pick this up. Aspyr provided The VR Grid with a code for this title and, regardless of this review, we thank them for that!